White House press secretary says Trump and his administration are working to ensure Russia is unable to meddle in U.S. elections. The White House clarified on Wednesday that President Donald Trump did not say that Russia is no longer targeting the United States. The clarification came after, during a Cabinet meeting, Trump said "no" when asked by a reporter if he believes Russia is still seeking to meddle in U.S. political affairs. 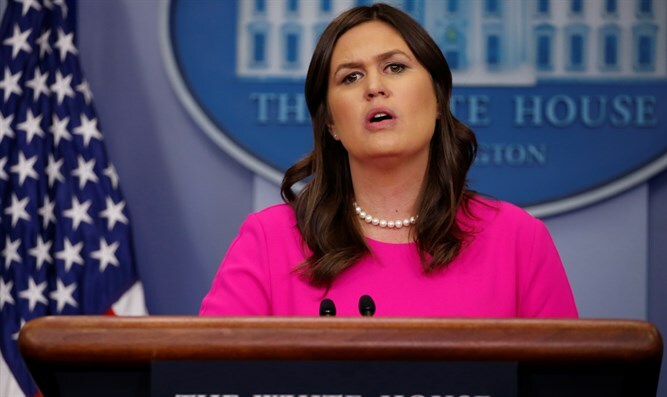 White House press secretary Sarah Huckabee Sanders explained that she spoke with Trump, who said he was "saying 'no' to answering questions" and not to the reporter's question itself. "He does believe that they would target, certainly, [the] U.S. election," Sanders said, according to The Hill. “The president and his administration are working very hard to make sure that Russia is unable to meddle in our elections as they have done in the past,” she added. Trump caused an uproar earlier this week when, during a press conference with Russian President Vladimir Putin, he appeared to back Putin’s claims regarding Russia’s meddling in the 2016 presidential election. Trump had initially also rejected the CIA’s assessment that Russia carried out cyberattacks during the election campaign in order to sabotage Hillary Clinton's candidacy, insisting that Democrats bitter with the results of the election were inventing excuses for their defeat. He later accepted the intelligence assessment but has rejected any involvement on the part of his campaign in the Russian hacking.